Belgium-based retailer Delhaize Group has struck a deal to sell its stores in Bosnia and Herzigovina to a vehicle headed by local retailer Bojan Risovic. Delhaize announced the agreement, signed for an undisclosed sum, with Tropic Group today (1 April). The retailer has 39 stores in Bosnia and Herzigovina. It entered the country in 2011 when it bought Serbia-based group Delta Maxi, which also had stores in Albania, Bulgaria, Montenegro and Serbia. Delhaize already had outlets in Greece and Romania. 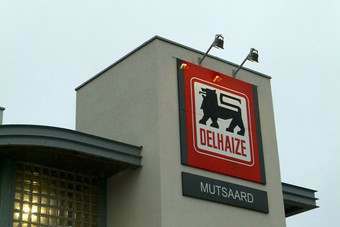 In a short statement, Delhaize said it expects the transaction to be completed in the third quarter, subject to regulatory approval. The company described Risovic as "an established retailer with a long history of successfully running retail enterprises". In February, Delhaize announced a deal to sell its Bulgarian business to local investor AP Mart. The transaction, expected to close in the second quarter, will see Delhaize's 54 Piccadilly and Piccadilly Express stores in Bulgaria change hands. Since the acquisition of Delta Maxi three years ago, Delhaize has sold its stores Albania and changed its business in Montenegro to a franchise arrangement.